Controller Upgrade Special! 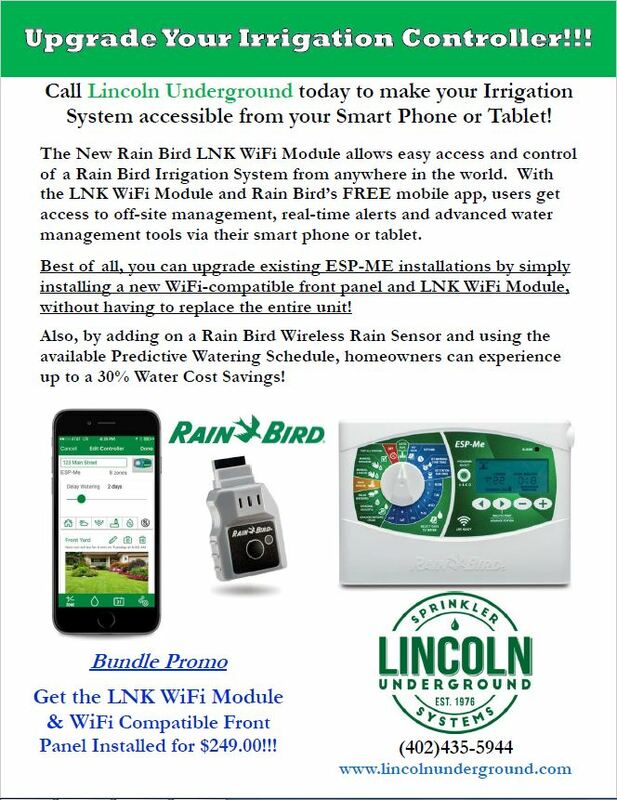 Upgrade your existing Rainbird ESP-ME Controller to be smart phone compatible! Over 40 years ago we started in the landscape irrigation industry. We design, install, and service irrigation systems in Lincoln and surrounding area.